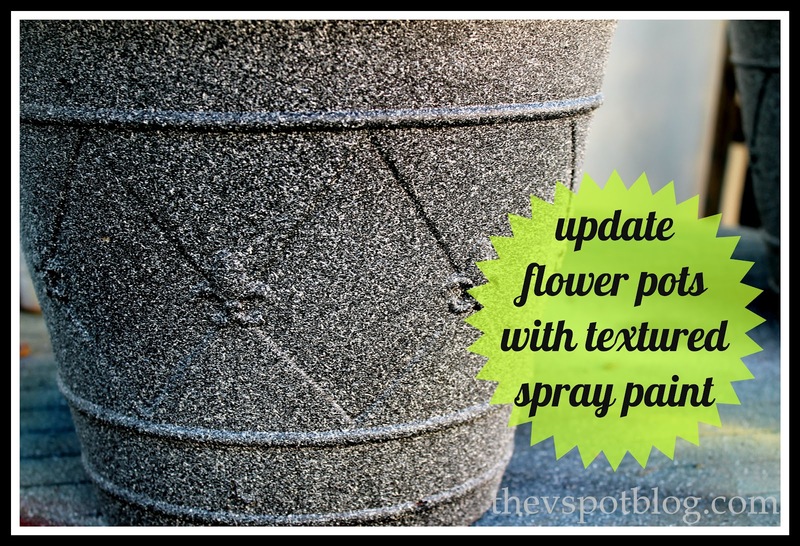 Saving tired old flower pots with textured spray paint. They aren’t replanted yet, but today I wanted to show you how I saved a couple of old flower pots. I have a couple of planters that have been around here for quite a while. I like the style of them, and I have repainted them several times over in order to get more life out of them. Click HERE to see how the dog made this a difficult project. 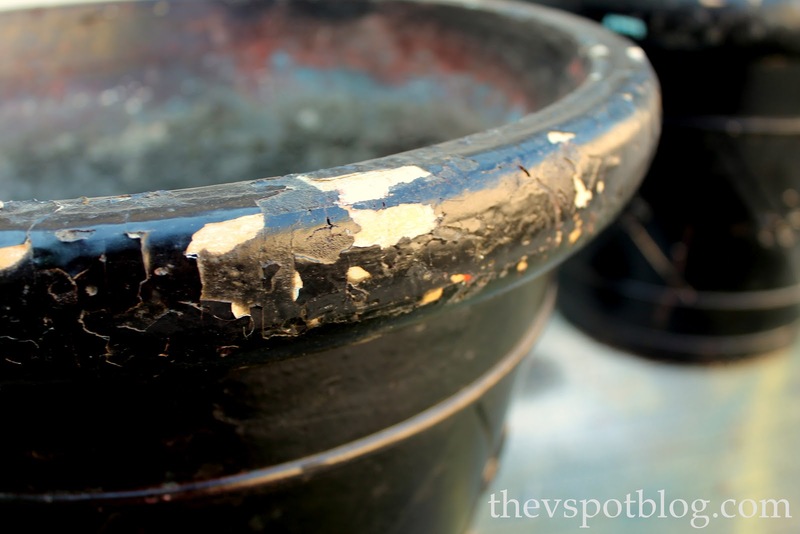 Any how, after a while, they start looking too chipped and battered to just repaint with regular spray paint. What to do? Textured spray paint, of course! Let it dry and then replant with your favorite fall annuals. (Get another season out of what you already have. Yay.) The end. I have purchased some of those really cheap white planters that “look” like urns from Walmart. I hit them with the Krylon stone spray and they look fabulous. I also sponged on some dark paint over the top to really enhance the appearance. Woot woot harsh winter people in da house! Clever! Thanks for sharing this, V!